A licensed fanzine for Glorantha, which aims to produce a diverse set of articles in each issue, written by fans old and new of the setting. The emphasis being on material usable in game. Currently Issue 6 is in production, for a release in late 2017/early 2018. Read more about issue 6 on the Hearts in Glorantha blog. Volume 1 Issues 1 – 5 was published between 2008 & 2012. 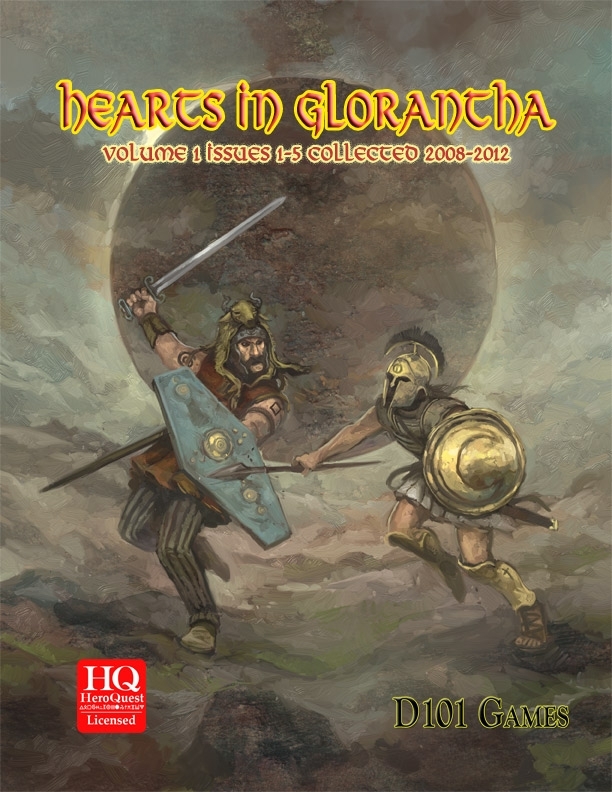 The seperate issues are no longer available from us, but are collected in a 280 page softcover book Hearts in Glorantha vol 1 Collected. The original articles, which cover setting information, creature write ups, adventures, homelands ,fiction, and rules guidance for both HeroQuest and RuneQuest, has been tidied up and 22 pages of new material about the Balkoth Tribe of Sartar has been added exclusively to this collection. 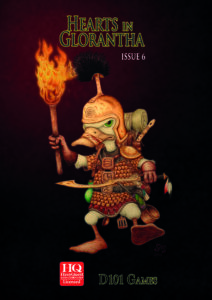 Features articles on the Lunars, Chaos, Oceans and Seas, Sartar, Dragonewts, Dwarves & Ducks??!?! It is available via DriveThruRpg.com and Lulu.com (print only). Hearts in Glorantha Blog – catch up with the latest developments and previews on the ‘zine. 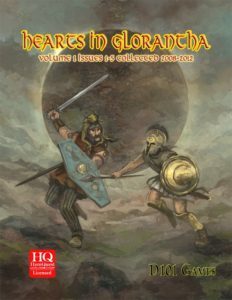 Get Hearts in Glorantha via Lulu.com – our Lulu Storefront.